I am getting many airballs when shooting the ramp. On closer observation, they result from hitting the right side of the ramp entrance. This side of the ramp has only a metal edge guard on it. Does anyone else get these airballs? Any suggestions on how to fix this? I slit a post cover and slipped it over the edge, which helps a little. Was thinking of putting a larger rubber ring on the post just to the right of the ramp entrance (which requires lifting that part of the munchkinland playfield a bit). Any other ideas? Thx! I've never had this problem, but the machines I've played will only make the ramp on a pretty careful shot. I'd suggest turning down the flipper coil strength if you're getting a lot of airballs. I echo tweaking the flipper coil strength. One of the huge advantages to JJP's software is the ease of changing this setting (and others). In the old days you would be looking at swapping out coils. Is there any shortcut for installation? 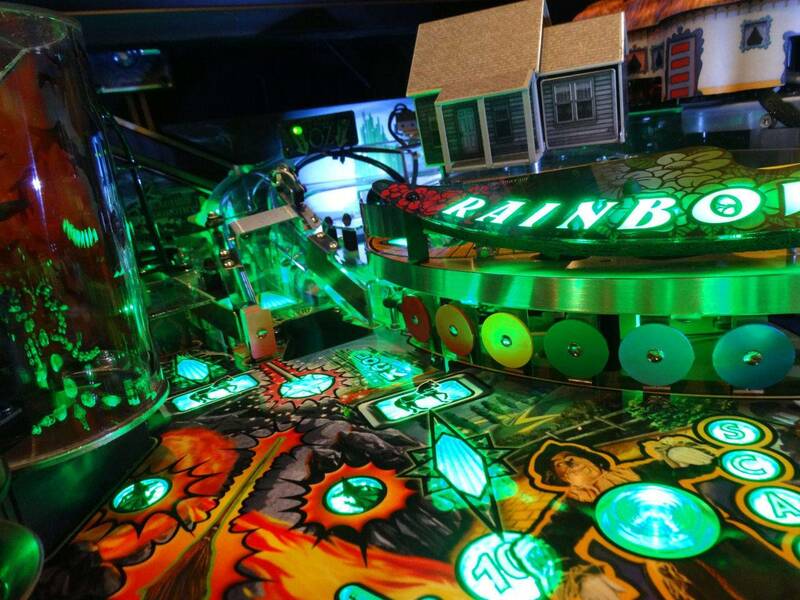 I hate the thought of pulling the mini playfield. It's not real hard to pull, there are instructions in the manual. Highly recommend the Cliffy's for it. Instead of pulling the mini-playfield out to install the cliffy, you can use a good double sided tape to install it, should work quite well. take your time looking it over, after reading through and studying the bottom of the PF it took me 20 mins start to finish. if you have a pf protector file the screw abit above ( that will attach the cliffy)the magnet at the muchkin pf drop hole or the occasional ball will hang on it. I'm ordering the Munchkinland protector today. Thanks for the advice! I just purchased the WOZ LE and it has the protector installed. 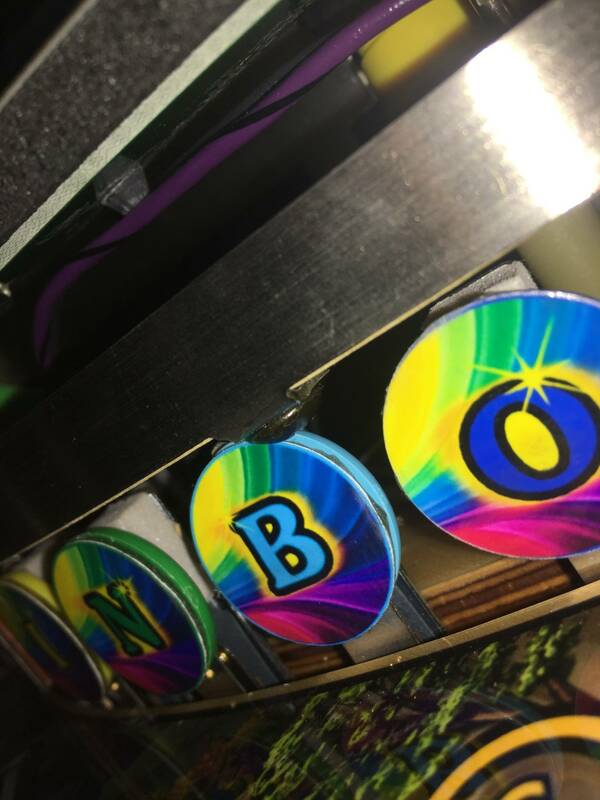 Seems the B in rainbow is getting caught on the protector screw. Was the screw installed properly or is there another problem here? The screw on my WOZ protector is equal distance between the B and the O and there is no way that it can interfere with either of the targets. Is your screw too close to the B or is that an illusion caused by the camera angle when the pic was taken? Mine clears the target but not by much. If I had thought of it at the time of installation it probably could have been moved another 1/8" to the right. Hopefully those who install them in the future will be aware of it thanks to this thread.